If you want to make sure your telephone connection is working right you might say "can you hear me now?" to the party on the other end of the line. 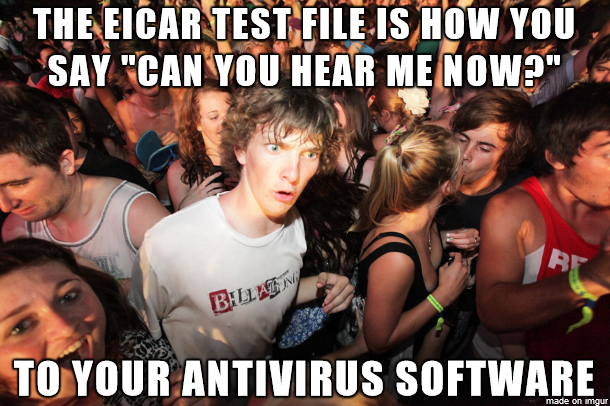 If you want to make sure your antivirus installation is working right, you'll want to send it the special 68 characters described on the EICAR site (unless you're using one of the few products that don't support that file). How safe is a hotel safe? Is any time a good time for that?